New up on ralphlauren.com. The second outfit is the same one shown in Christian Chensvold’s recent article for Rake. This chambray sport coat and pink gingham shirt combo is also noteworthy. 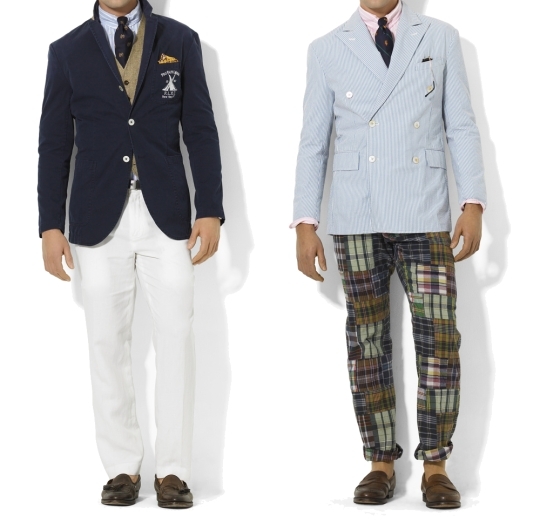 New in for spring at RalphLauren.com. I don’t care for most of it, but the outerwear looks good. 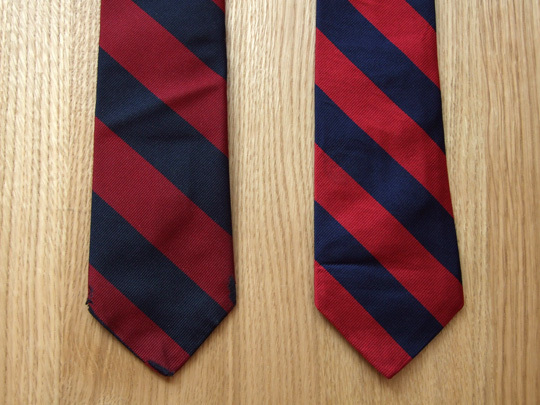 My first real tie was a vintage Paul Stuart regimental in the classic red and navy stripe pattern, which I happened to come across again this last weekend when organizing a few old boxes. Pictured below on the left, I remember wearing this thing almost daily and it went through a lot with me as if it were a close friend. The edges and tip are now frayed, and dyes from the silk will rub off into your hands and shirt if handled too much. Long since retired, it was somehow spared the fate of a trash can which is really where it belongs. 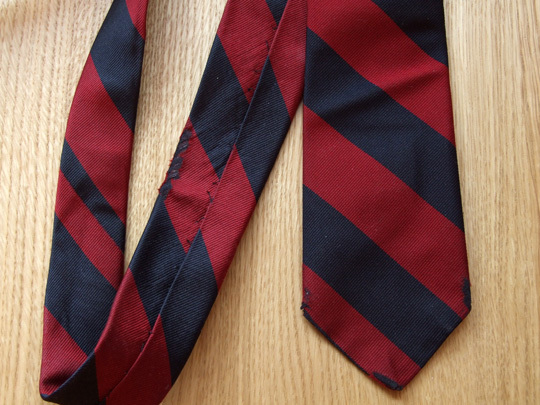 The tie’s particular pattern left a lasting impression on me though, and to this day it’s still my favorite. 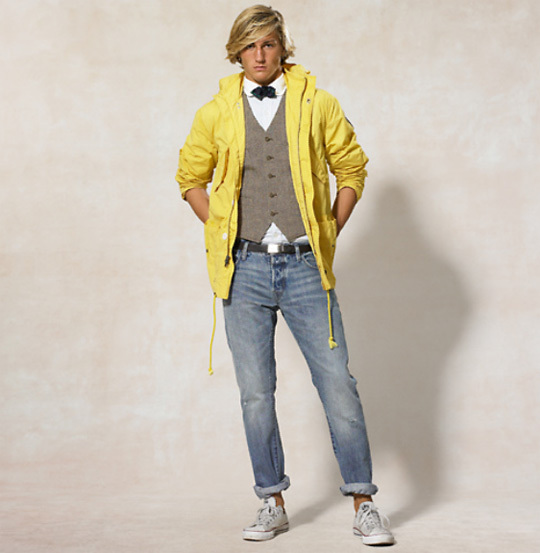 Rugby has a great looking yellow parka up for spring called the scout deck jacket. It’s very similar in design to Barbour’s Kagoule jacket, but at half the price. Before there were Bloods and Crips, there were the Lo-Lifes. 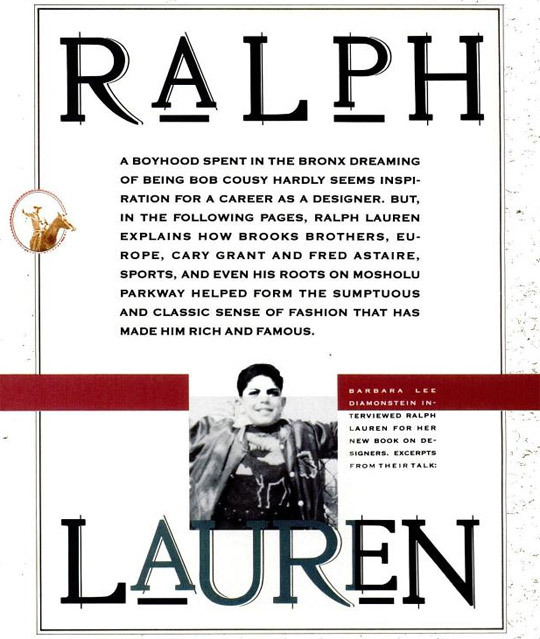 They worshiped Ralph Lauren, and shoplifted as much Polo gear as they could. Their distinctive looks would later influence and define urban street fashion throughout the 90’s. 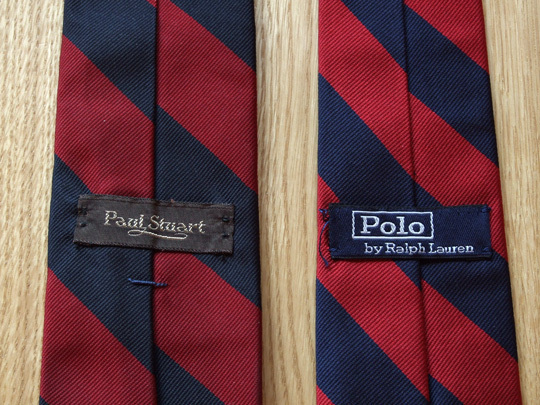 When we traveled, we would roll at least 50 or 60 deep and could be recognized by the rainbow of Ralph Lauren labels. By 1989, we grew and had members in the “90’z” (East Flatbush) and East New york. We would get all dressed up just to go out and commit crimes. Sometimes we would go to clubs wearing like 5 different polo shirts each. We would wear one on top of another and switch shirts. All night while walking around the nightclub, your prop status was rated on how much “Lo” you had and how big your heart was. Many of these guys are now collectors, and if you ever see odd vintage Ralph Lauren items on ebay getting ridiculously high bids, it’s probably one of them. New on RalphLauren.com. Take your pick: white silk, black velvet, and black watch tartan. 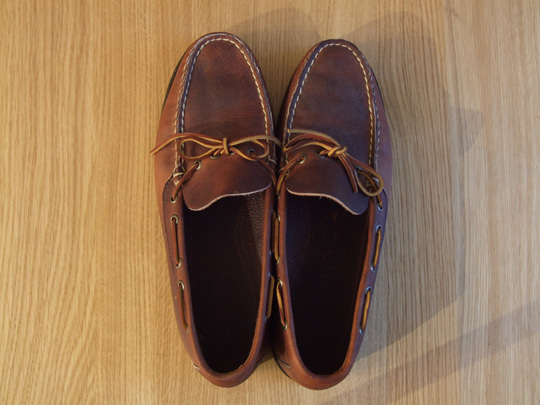 These are perfect for this time of the year. 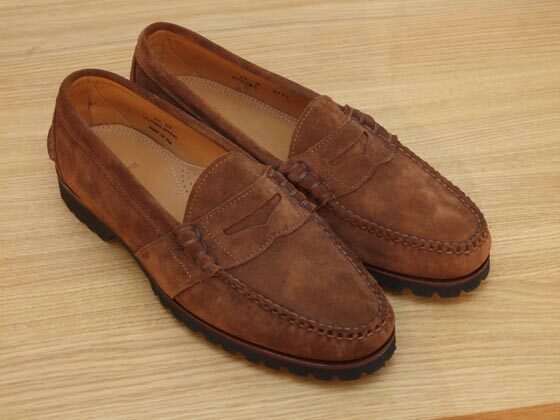 A penny loafer and heavy lug sole should never go together, but these somehow work. 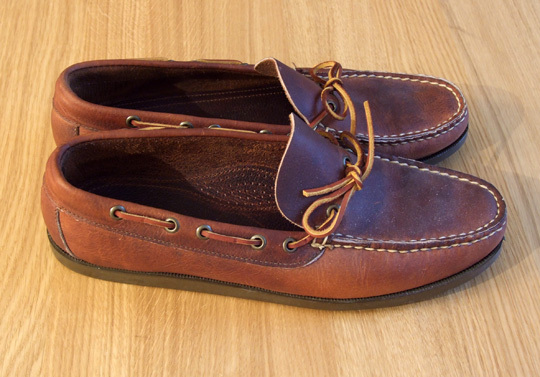 Pair them up with slim jeans and a crewneck sweater on top of a button down shirt. Preferably on a day off. Intarsia sweater overload on RalphLauren.com this year. 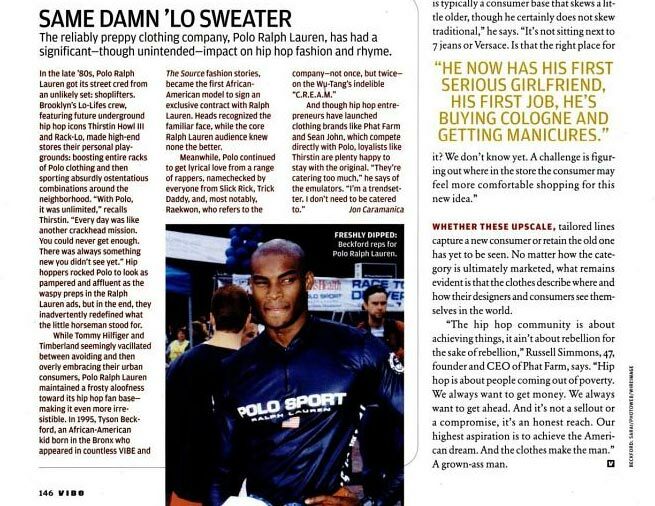 It’s okay to have one or two of these types of sweaters in your wardrobe for wearing during the holiday season (they’re just as odd as madras jackets, white bucks, and critter chinos). 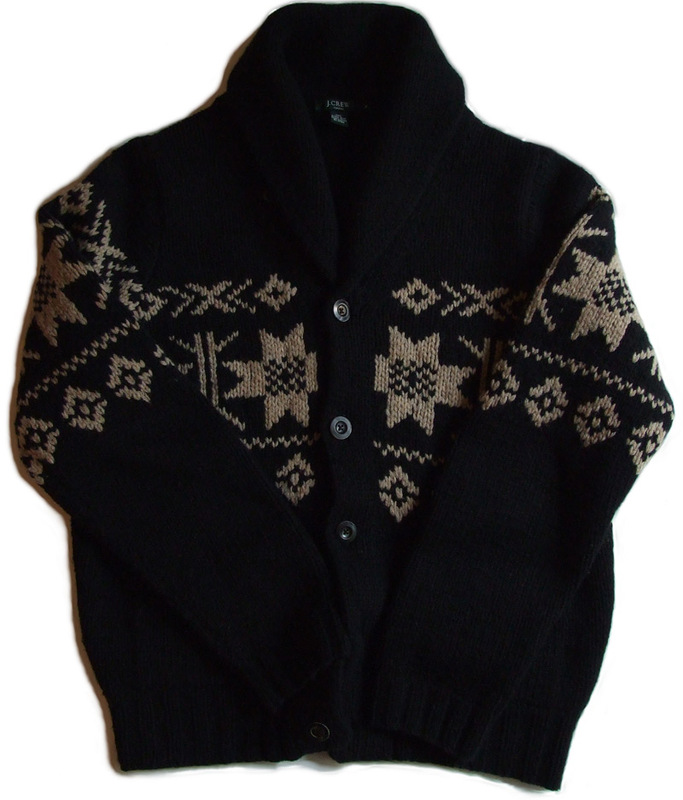 I have this shawl collar cardigan from J.Crew that I had purchased on a bet, and it gets worn only a couple of times a year.